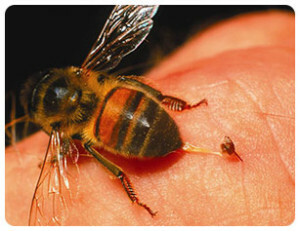 While Yellow jackets, hornets and wasps tend to sting repeatedly during an attack, bees are equipped with barbed stingers that typically become lodged in the skin and rip away, along with the venom sac, from the insect’s body at the time of the sting. 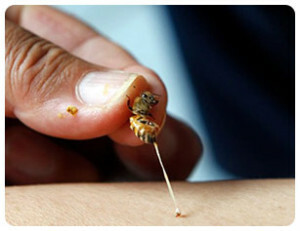 Therefore, if stung, it is important to remove the stinger as rapidly as possible by any means possible, because venom can continue to be released for several seconds. 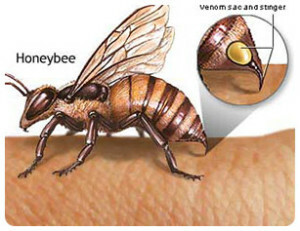 All stingers should be removed because if left in place they may cause a foreign body reaction or become infected. 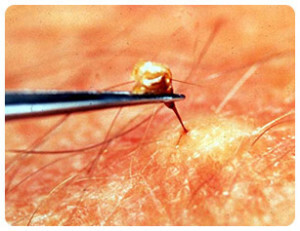 Symptoms of an infection include increased redness, swelling, and pain three to five days after the sting, or development of fever and chills. If stung, it is important to immediately clean the area with soap and cold water and to use a cold compression such as ice or an ice pack. If the sting is an extremity, it is helpful to elevate the limb. If needed, over the counter nonsteroidal anti-inflammatory drugs (NSAIDs) can help reduce pain, while an antihistamine and hydrocortisone ointment can help calm the local reaction. In case the local reaction worsens, healthcare providers may prescribe an oral steroid or antihistamine to help calm theswelling or itching. If you suspect an infestation or notice a hive or nest on your property, give us a call we can safely remove the threat. Do not try to do it yourself. And remember prevention is always much better.